There are many picture books available. They can be found at libraries, book stores, schools, and homes. Because there are so many regular picture books available, a person may wonder why they should even considered using online picture books to teach their children instead of using regular picture books. 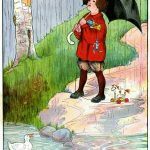 There are actually several good reasons why a person should use online picture books to teach and this article discusses them. Online picture books are special. Many of the online picture books, especially those found on https://www.surfnetkids.com/early/books/ are picture books that cannot be found in schools, libraries, or book stores (even used book stores.) But just because these picture books cannot be found in the regular picture book places does not mean that children should not have the opportunity to read them. 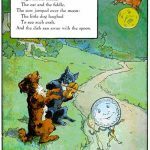 Children can learn a lot from the old picture books that can be found online. 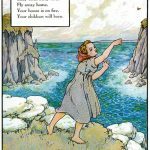 The illustrations themselves can teach children about the past. They can learn that children used to dress differently than they do now, and that they used to participate in different activities. Online picture books can give children an opportunity to view different parts of the world that they are not able to experience for themselves. Since the picture books found on https://www.surfnetkids.com/early/books/ are in fact old, if a teacher or parent did have a copy of the book, chances are it would be kept protected from little hands and not read and used to teach. https://www.surfnetkids.com/early/books/ allows the old picture books to be enjoyed by children and adults alike. Teachers and parents can use the online picture books to teach their children about the alphabet, animals, reading, and rhyming. Kids spend a lot of their time online. Many times they are wasting their time on the internet not learning, just playing. While playing is good, reading is most often considered a better use of time. Since the children are already online, parents can encourage them to visit websites such as https://www.surfnetkids.com/early/books to look at and read the old picture books that are found there. Children will have fun turning the pages with their mouse and hearing the page as it actually turns. Using online picture books can help get internet savvy kids become interested in books and reading. Online picture books are a very inexpensive way to teach kids how to read. Instead of parents and teachers spending hundreds of dollars on beautiful books that may be treated poorly and get ruined as they are passed from one child to the next, they can go to online picture book websites such as https://www.surfnetkids.com/early/books and let their kids look at and read more than one very nice picture book. Online picture books can be viewed by many kids at one time and this can save a school money. In a classroom they may only have a few copies of one picture book that needs to be shared by 25 plus children. So instead of having to purchase a copy of a picture book for each student in the classroom, they can go to the computer lab and read the picture books online. Using online picture books to teach kids how to read, to teach them about rhyming, and many more things, can help the environment. If fewer picture books are printed since kids are able to read and learn from the picture books online then less paper is used to print these books.